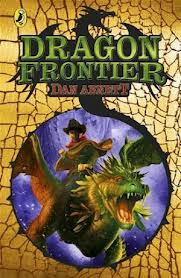 Dan Abnett: Yeeee-haw! Dragon Frontier! As I was reading this I suddenly started thinking, 40k children's book. Hi, this is totally unrelated but perhaps you can help. I just finished 'Embedded', which I really enjoyed, except - did I miss a page? - what the freak® was it that was so important that was buried there? Just searched for and found this site and guessed someone here would be able to help.